About the only criticism I have of this extremely useful volume from John Massengale and Victor Dover is the main title. To me, “Street Design” sounds more like a volume intended for traffic engineers – whose primary goal is rapid flow of automobiles. But rather than being a how-to manual for guiding cars swiftly through neighborhoods, the book instead laments the way our city streets have been turned into “traffic sewers,” shoving pedestrians to the sidelines. What Dover and Massengale deliver is not a book of theory but rather a pragmatic design handbook – derived from learning by observing – for fashioning people-friendly environments. The authors present 150 mini case histories of street schemes from North America, Europe and South America to demonstrate principles that foster a lively public realm. They show us places that achieve a virtuous balance between competing claims of pedestrians, cyclists and vehicles – and also provide vivid negative examples of streetscapes that are distinctly inhospitable to human beings. 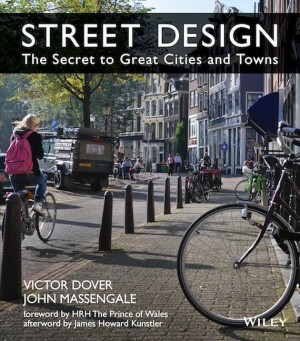 Massengale and Dover divide the 150 street environments they analyze into four major sub-sets: Historic Streets; Street Systems & Networks; Retrofitted Streets; and New Streets. 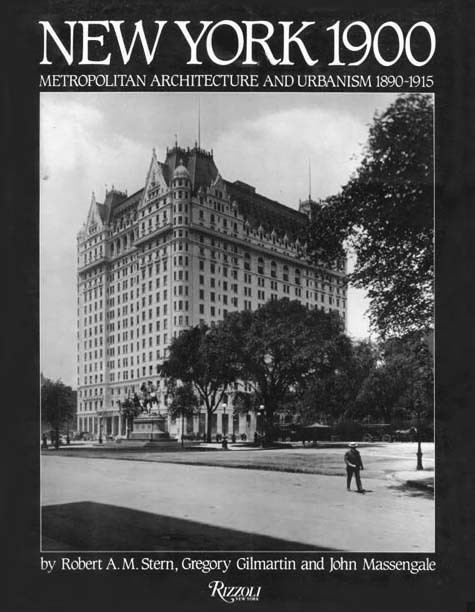 For example, in the chapter on Historic Streets, the authors devote three pages – including five illustrations – to examining Brooklyn’s Eastern Parkway. Despite its unusual width (174 ft. across) and large amount of traffic (42,000 vehicles daily), clever design allows the boulevard to retain a people-friendly residential character. The six through-traffic lanes are separated from two parallel low-speed service roads by broad median strips bordered by rows of closely spaced trees. Each service road allows for two lanes of parallel parking, further insulating residential buildings from through-traffic noise. Similar well-illustrated analyses are given for the 149 other public thoroughfares that make up the core of the volume – including some examples showing how well-intentioned designers can nonetheless create sterile, inhumane public spaces. Prior to 1995, 10th Street in Port Royal, SC, was wide and treeless, and the lots were mainly empty. 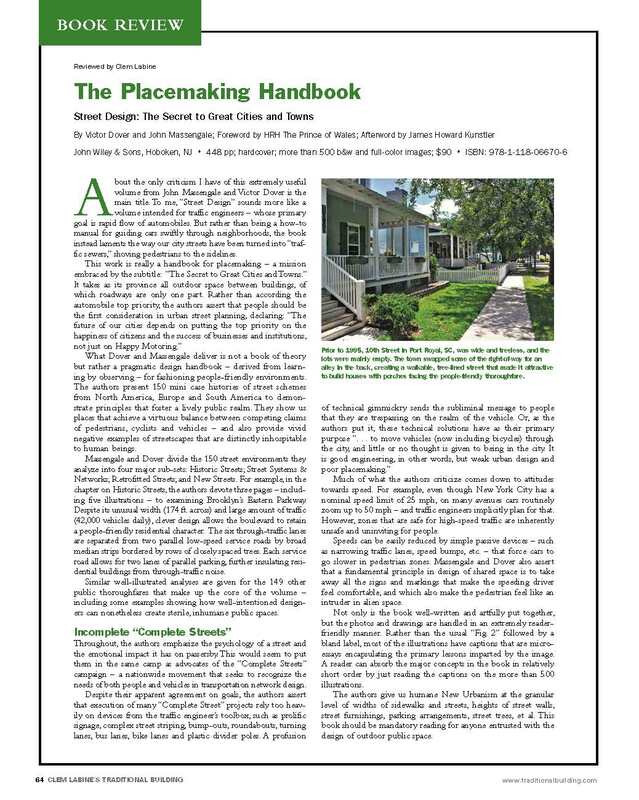 The town swapped some of the right-of-way for an alley in the back, creating a walkable, tree-lined street that made it attractive to build houses with porches facing the people-friendly thoroughfare. Throughout, the authors emphasize the psychology of a street and the emotional impact it has on passersby. This would seem to put them in the same camp as advocates of the “Complete Streets” campaign – a nationwide movement that seeks to recognize the needs of both people and vehicles in transportation network design. Much of what the authors criticize comes down to attitudes towards speed. For example, even though New York City has a nominal speed limit of 25 mph, on many avenues cars routinely zoom up to 50 mph – and traffic engineers implicitly plan for that. However, zones that are safe for high-speed traffic are inherently unsafe and uninviting for people. Speeds can be easily reduced by simple passive devices – such as narrowing traffic lanes, speed bumps, etc. – that force cars to go slower in pedestrian zones. Massengale and Dover also assert that a fundamental principle in design of shared space is to take away all the signs and markings that make the speeding driver feel comfortable, and which also make the pedestrian feel like an intruder in alien space. Not only is the book well-written and artfully put together, but the photos and drawings are handled in an extremely reader-friendly manner. Rather than the usual “Fig. 2” followed by a bland label, most of the illustrations have captions that are micro-essays encapsulating the primary lessons imparted by the image. A reader can absorb the major concepts in the book in relatively short order by just reading the captions on the more than 500 illustrations. 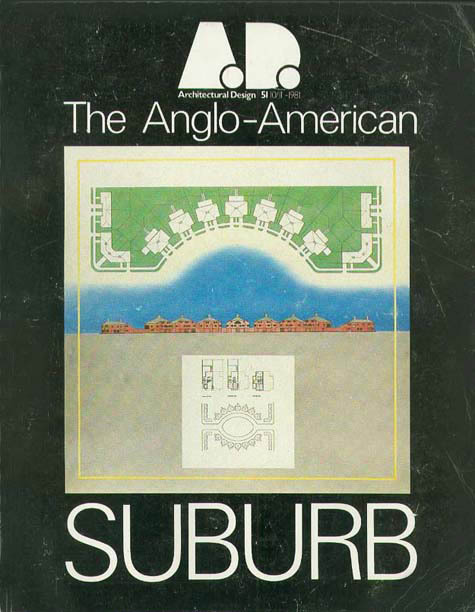 The authors give us humane New Urbanism at the granular level of widths of sidewalks and streets, heights of street walls, street furnishings, parking arrangements, street trees, et al. This book should be mandatory reading for anyone entrusted with the design of outdoor public space. This entry was posted in Beauty, Current, New Urbanism, News & Reviews, Street Design, Urbanism. Bookmark the permalink.